Situated on northern Jutland’s Limfjord, the city of Aalborg has always relied upon the ocean for sustenance. In the Middle Ages, the city thrived thanks to trade from the harbour and a monopoly on delicious salted herring. Later, from the 1700s until the 1980s, the city’s shipyard became one of the most important in Denmark. 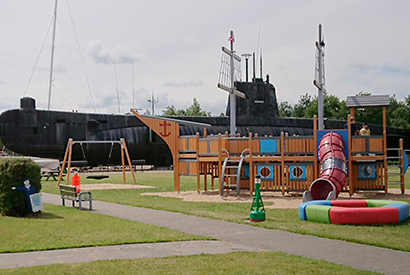 Springeren – Maritime Experience Centre tells the story of both Aalborg’s and Denmark’s proud maritime past.